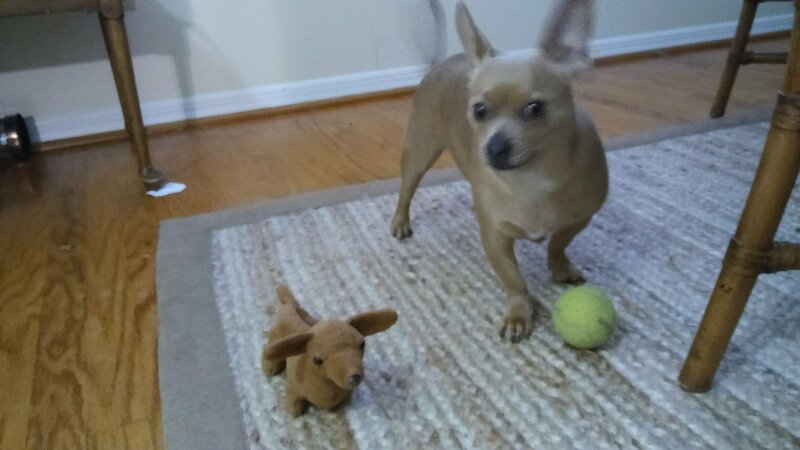 The puppy was a little confused by his new mini me but I found some good finds for cheap. 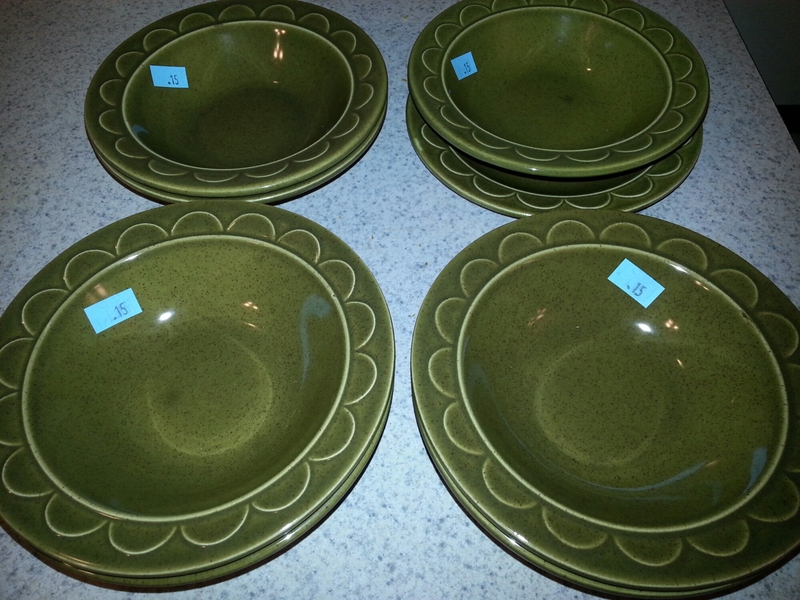 These trays were $1.50 each but still had the original Macy’s price stickers of $17.99. 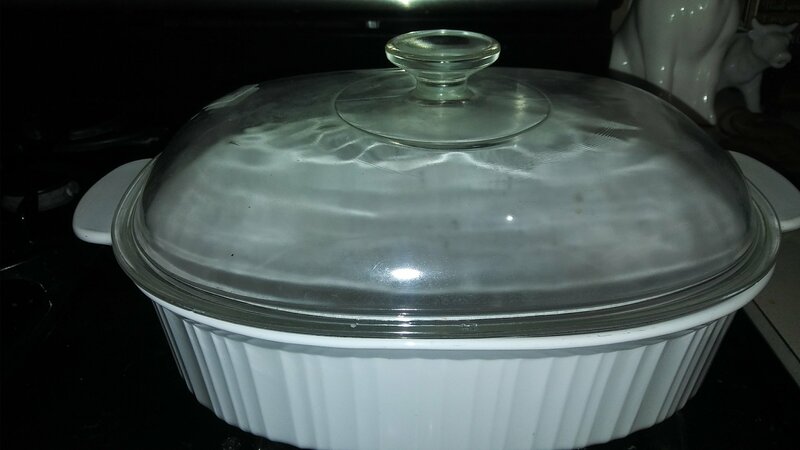 I added to my set of these Corelle dishes but shattered the lid after making my first casserole. 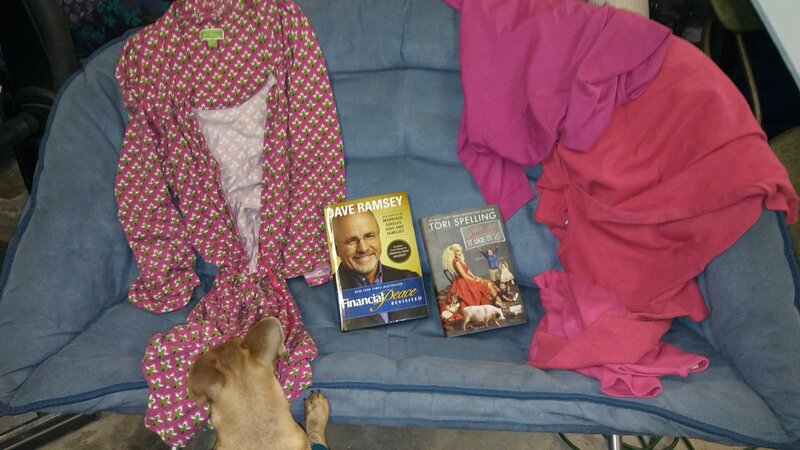 I am always happy to find a Dave Ramsey book to sell or pass along. The robe above is Vera Bradley. The pink sweaters were for a hat sewing project for a march. I snagged this Kenneth Cole rolling bag for $4. Thanks to built in obsolescence these bags no longer come with replaceable wheels so when the wheels are shot the bag can’t be repaired. I usually always have one I’m using and try to keep a spare for when it goes. I also found another catchphrase portable console for work. And the BB8 was too cute to pass up. 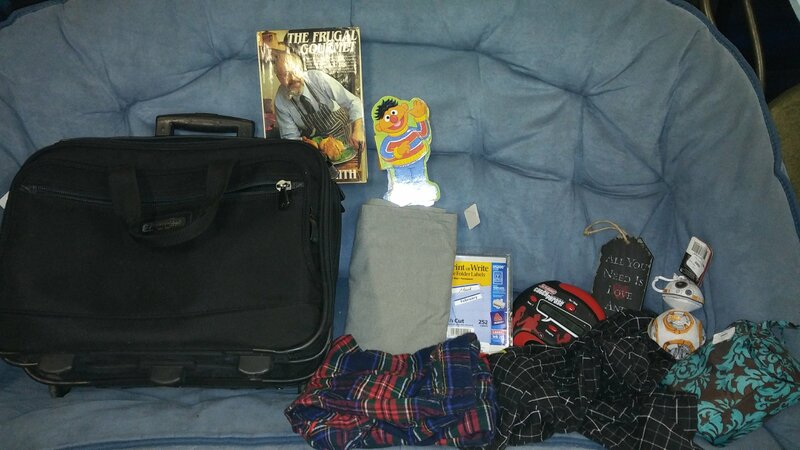 I got some nice shirts, toys for Gimli and my 1 year old nephew and a book. The birds sing and move and are overall adorable. 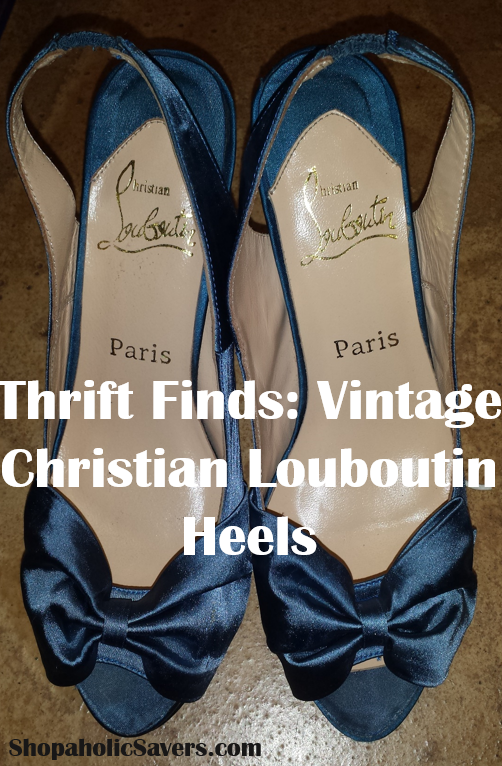 I couldn’t believe my luck when today I Found Vintage Christian Louboutin Paris Heels for $6 found at a Thrift Shop today. I just happened to quickly stop in after a doctor’s appointment and I’m so glad I did! These are selling like crazy on eBay for $100-$600 with lots of people watching them. 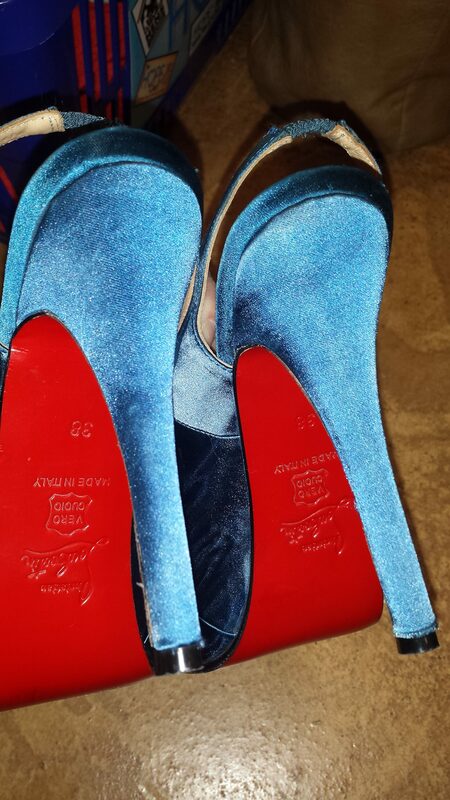 I have always wanted a pair of these with their famous red bottoms but I think I would like $300 more! They actually weren’t the only designer items I found today! I’ll post more on that soon! A couple of days ago I happened to see a sign for a community garage sale for a nice community down the road from where I live. 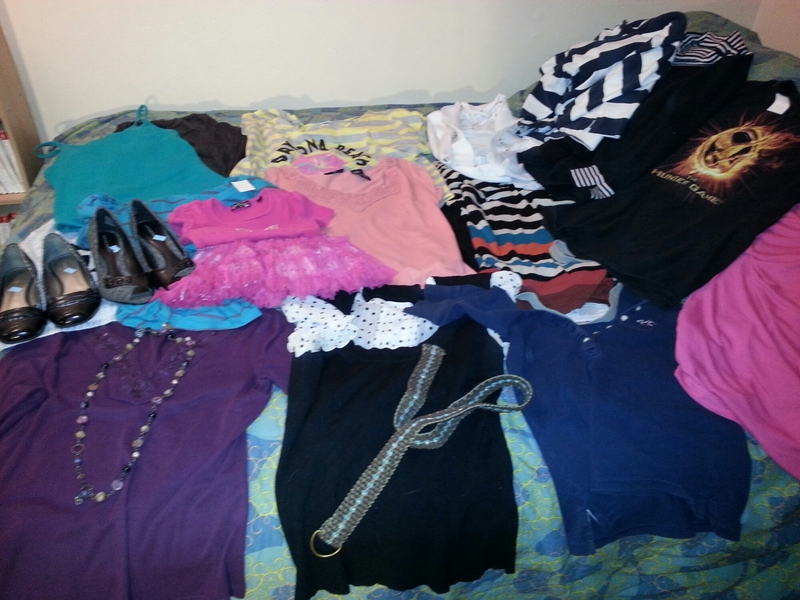 Today I woke up early quite coincidentally AND remembered the sale and ended up going. 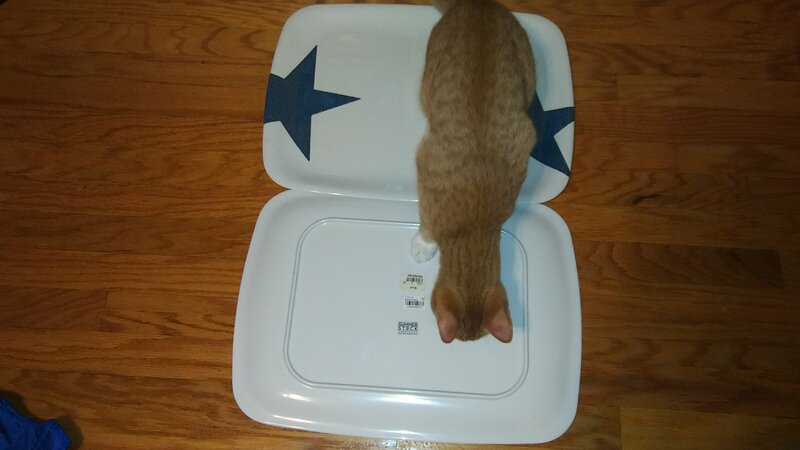 I was really excited by my purchases. Everything I purchased above was for .25 cents to $3 but most of the items were $1. I was really excited about finding some Miss Me jeans for $1 that I plan to sell, as well as Guess jeans and Aeropostale jeans. I’m going to try selling jeans on eBay for the first time so I was excited to find a few deals. 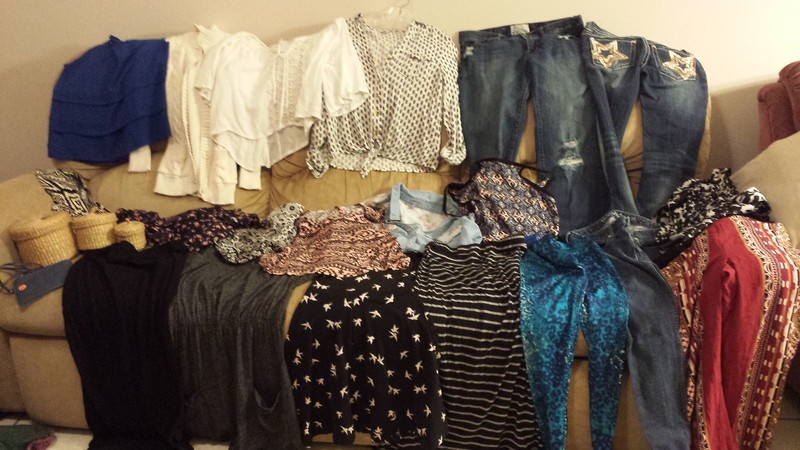 I also bought some clothes for myself including a couple of maxi skirts, some cute tops for our beach vacation, and some Hippie type pants that are very popular right now. 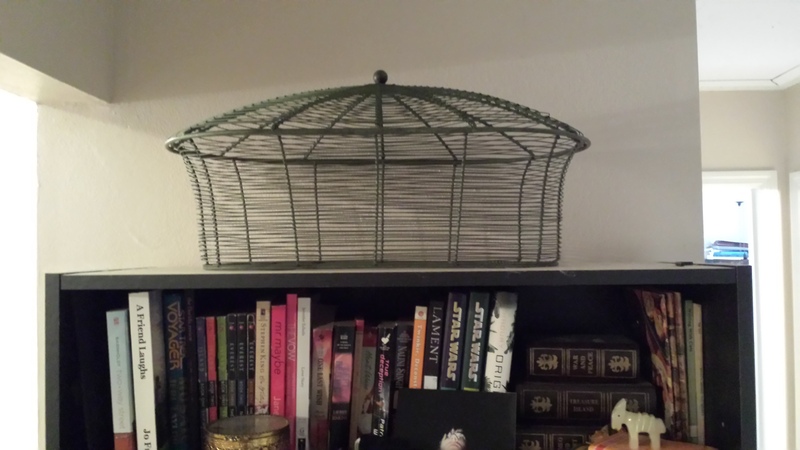 In the picture below, I also found a set of three IKEA woven baskets for $1 that I had been wanting to buy at IKEA for about $15-20 but never had. I love community garage sales because you get to go to so many sales without driving long distances between sales. I really hope I can find a few more this summer! 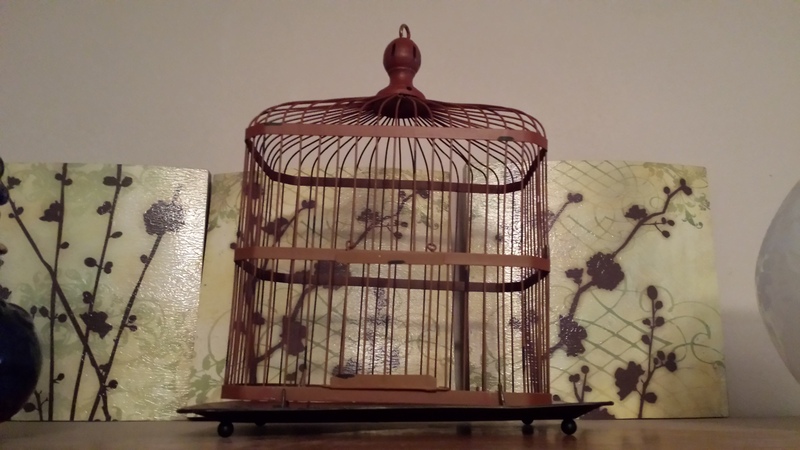 I had some fantastic luck last weekend when I went shopping at Goodwill with my father. 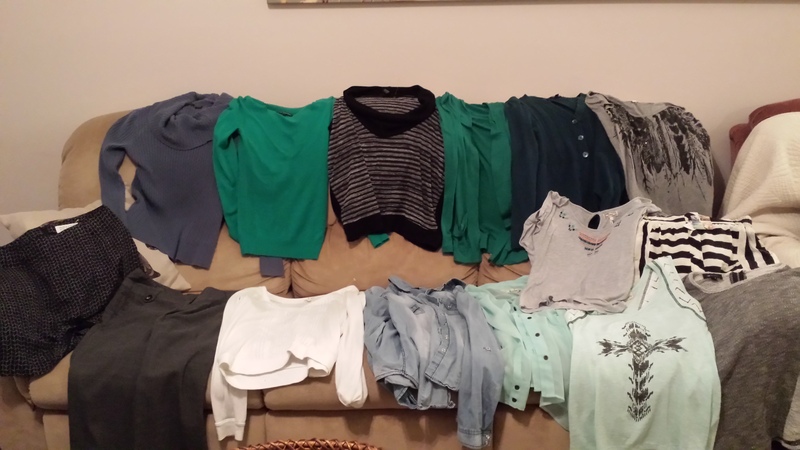 The local Goodwill is right next to a huge university so there are generally tons of clothes. 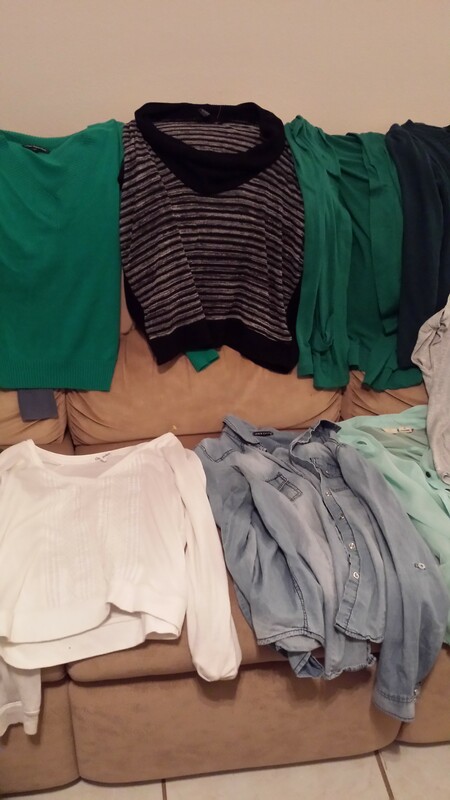 I really needed more sweaters to wear for teaching because we have had unusually cold weather this winter and I felt like I had already worn all of my winterish dress clothes several times (and I had). 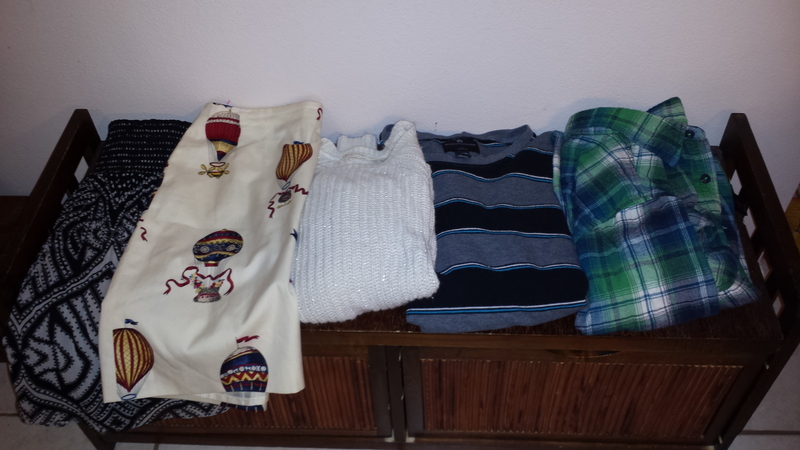 As you can see in the picture above I had great luck with sweaters and also some clothes for everyday life. I love trips like this where I have so much luck! 16-01-26 Thrift Finds Goodwill Shopping Trip- Ugly Christmas Sweaters! 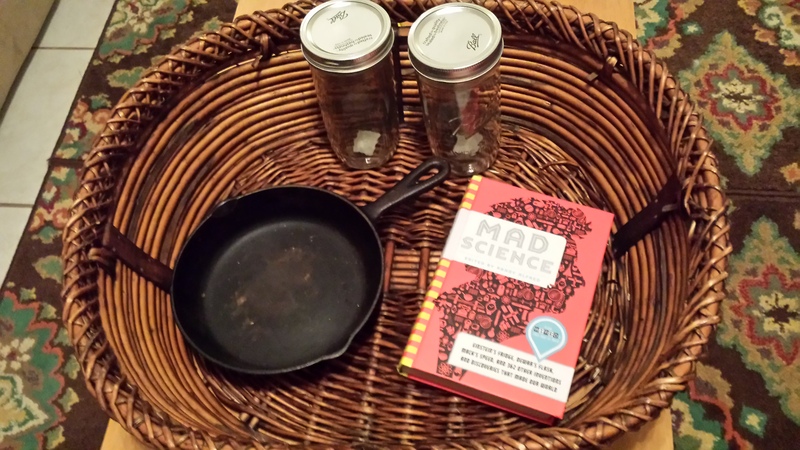 I had a really fun trip to Goodwill today after I stopped at the post office. 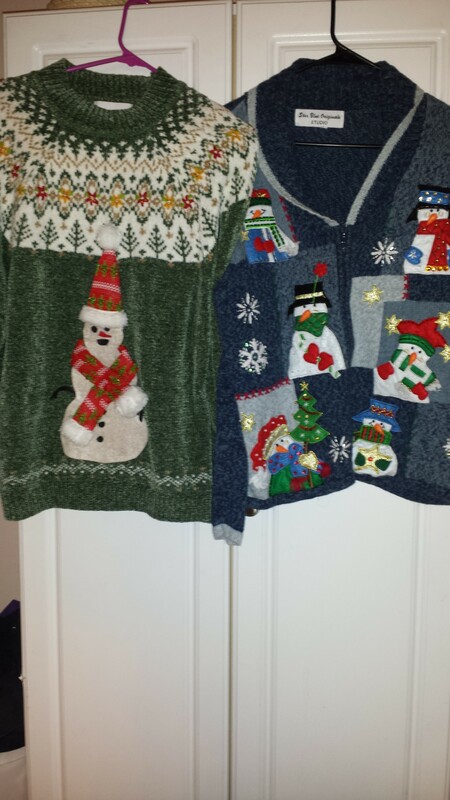 I found the above ugly Christmas sweaters for a few dollars each. I plan on A) wearing them to a Christmas Party or B) selling them on eBay next year. Apparently this is the time of year to buy them. The last three pairs I will wear to teach and the first pair I will either wear or sell on eBay. 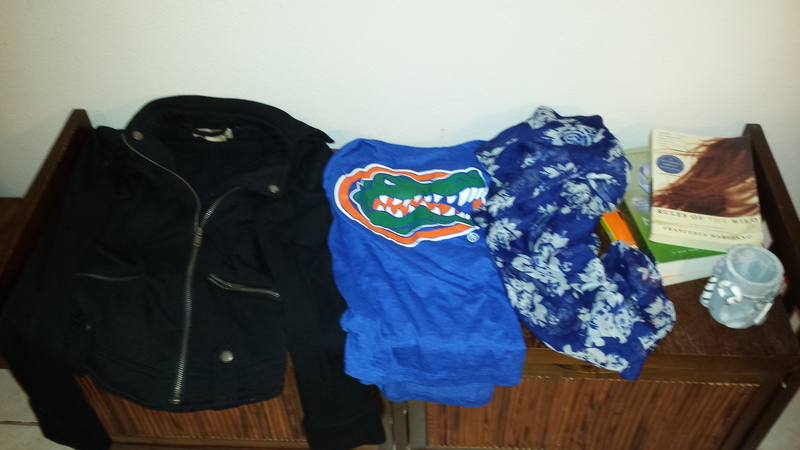 In this picture I got a White House Black Market Skirt (also in the photo below), a teaching skirt with hot air balloons on it, a white knit sweater, a thermal men’s shirt for B and a flannel shirt for B.
I found the above black motorcycle style jacket but it’s all cotton and really soft and comfortable, I also bought a Gators shirt for a friend, a blue flowered infinity scarf, books and a candle holder. 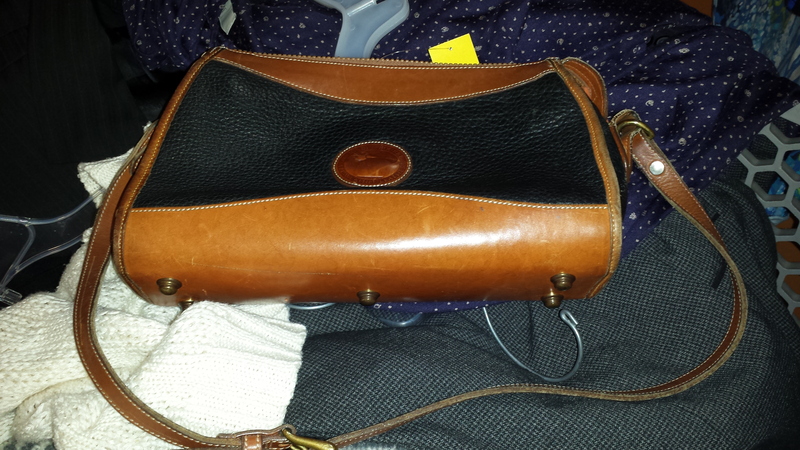 I also found this Dooney & Bourke Duck Purse like the clutch we found here for $6.99 but I didn’t end up buying it. I wasn’t sure how well it would sell on eBay so $7 seemed like too much to pay. 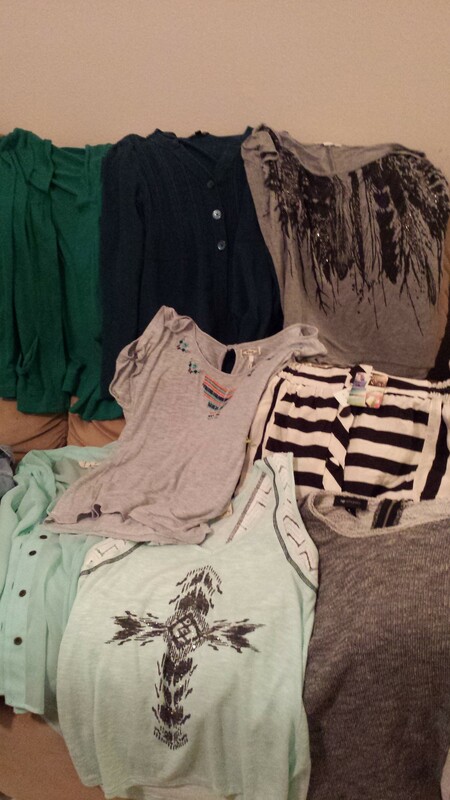 While my sister was in town from Texas we went thrift shopping with my mom. 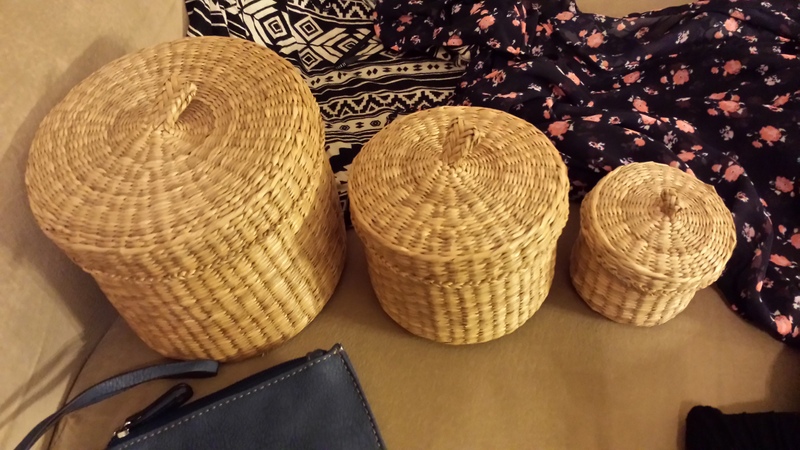 We were very excited to be spending time together and thrifting is our favorite hobby! I was excited to find the above decorative birdcage for $4.99 and the below green basket for $6.99. Not sure what I’m going to put in them yet but they match the decor of our house. Yesterday I had to drive out to the university I work at. There is a Goodwill on my way home in a nice area that I love going to. As always, second hand shopping can be hit or miss but yesterday I made some great finds. For the first time every I’m actually posting some pictures of me wearing the clothes (minus my face). When I lay them out on the couch there just isn’t the same effect. 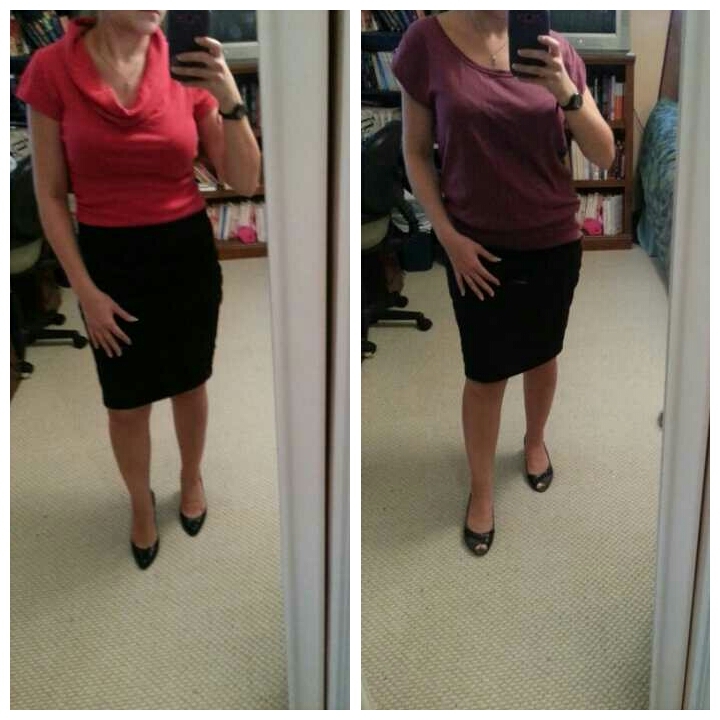 The red shirt above was half off for less than $2 and the pink shirt was about $3. 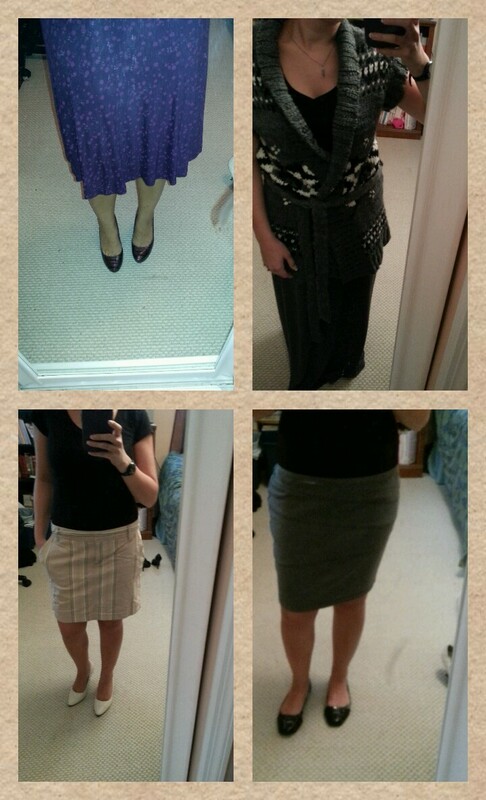 I paired them with my favorite pencil skirt (also from goodwill for about $3.69) and thrifted shoes. 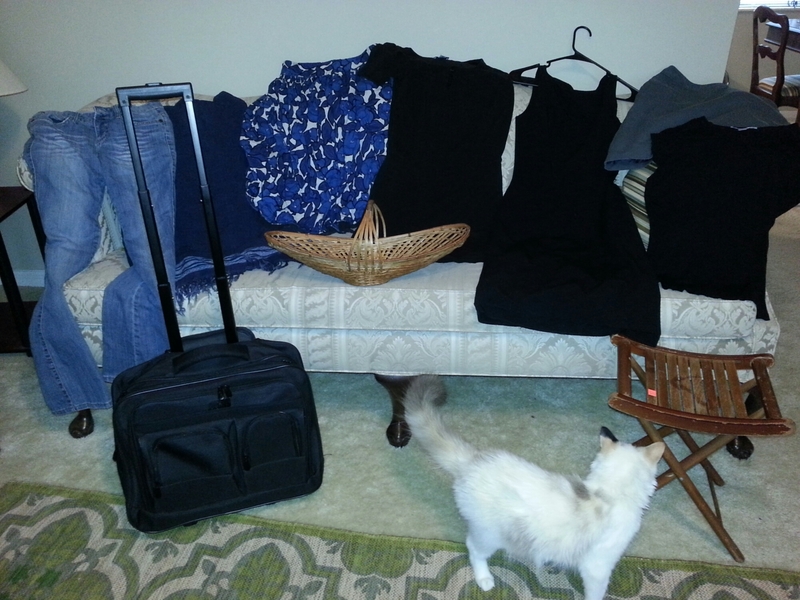 Note- This is a lot more than I usually spend in one thrift shopping trip but when I find a lot of nice stuff that I need for great deals it still saves me a lot of money. 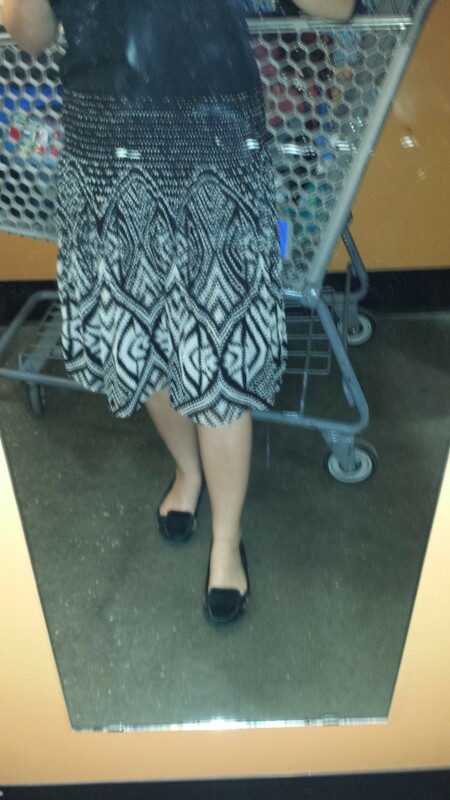 This dress was $5.99 new with the tags still on. 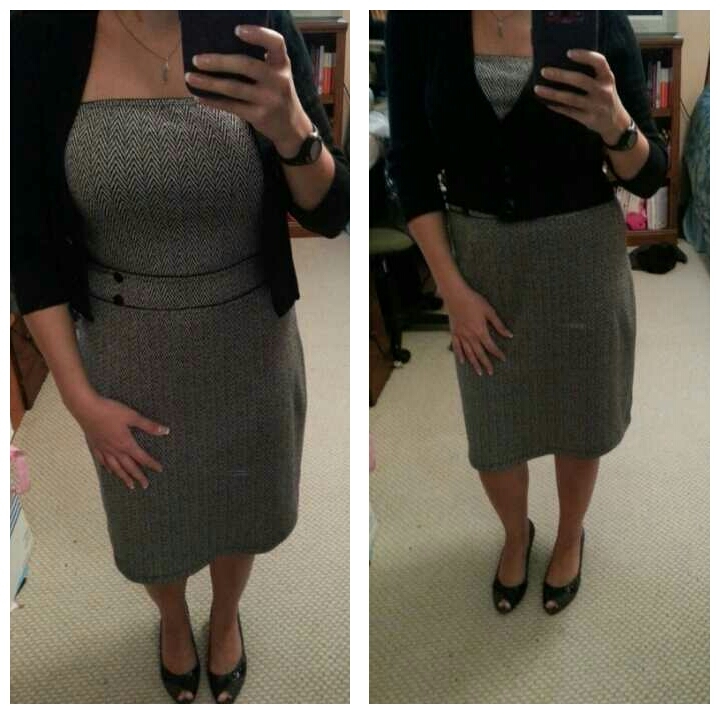 It’s a halter dress so I paired it with a small black sweater to make it more professional that I believe cost me .50 cents at another thrift shop. 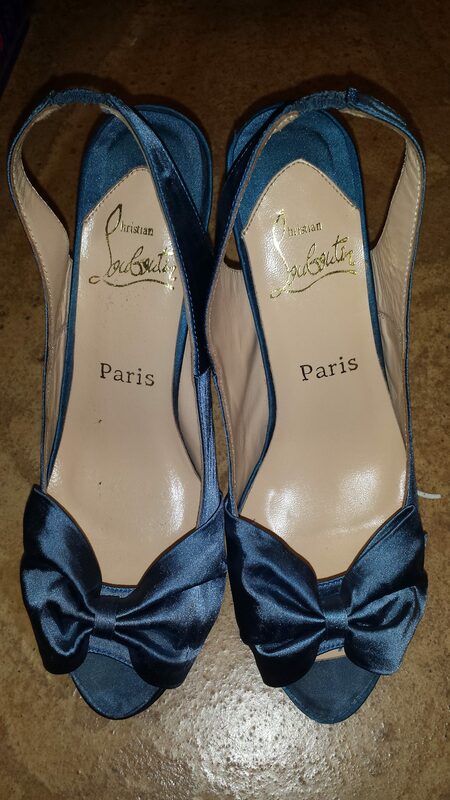 The heels I bought during this thrift shopping trip for $2. 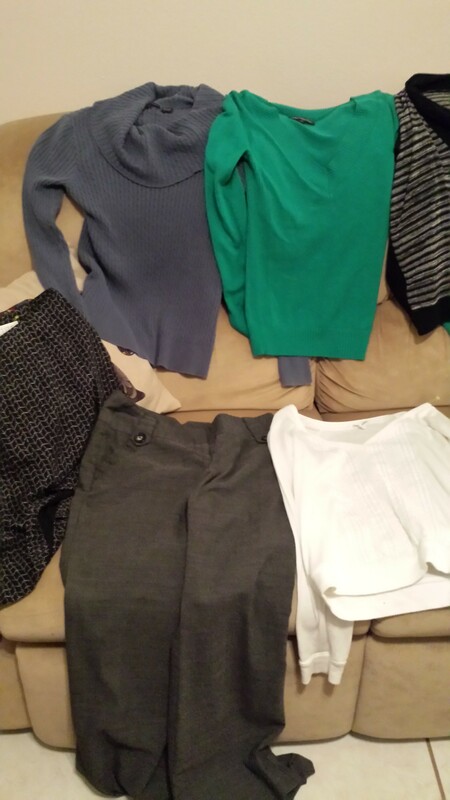 I also bought these three dress skirts, the tan one is from Ann Taylor loft, the purple one is from H&M, and the grey one is from charlotte ruse and the great chunky knitted jacket that I love is from Target. I tried them on with other thrifted shoes. I need more dress clothes for when I start teaching again this month. 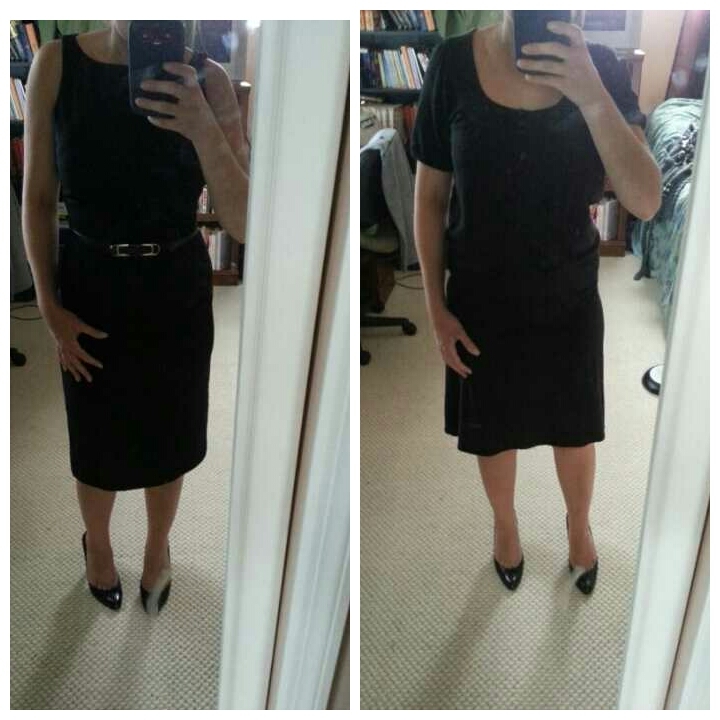 Everyone who wears dress clothes to work knows they can be EXPENSIVE. So my friend and I decided to make a quick trip to a little church thrift store in a 100 year old house. It’s only open on Thursday nights and weekend mornings but the prices are fantastic. 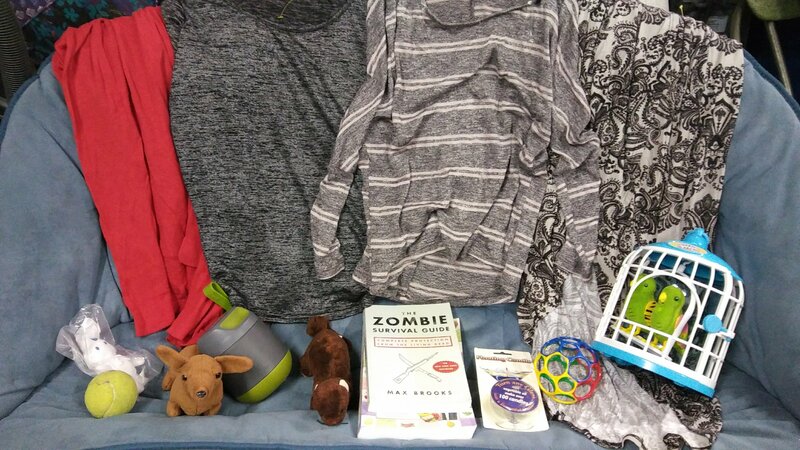 I spent $12 total and got everything pictured. All of the shirts were .50 cents each! 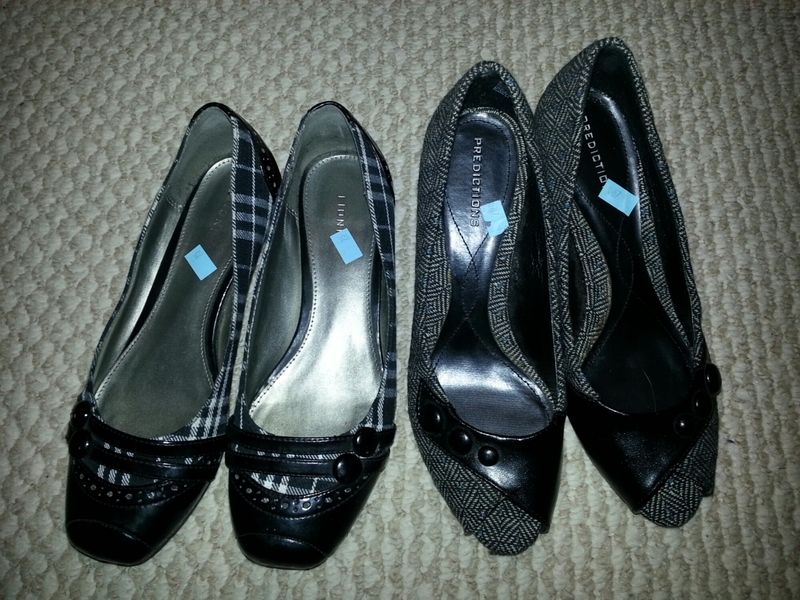 The dress flats on the left were .75 cents and the dress heels on the right were $2.00! So exciting! I will definitely wear them to teach. 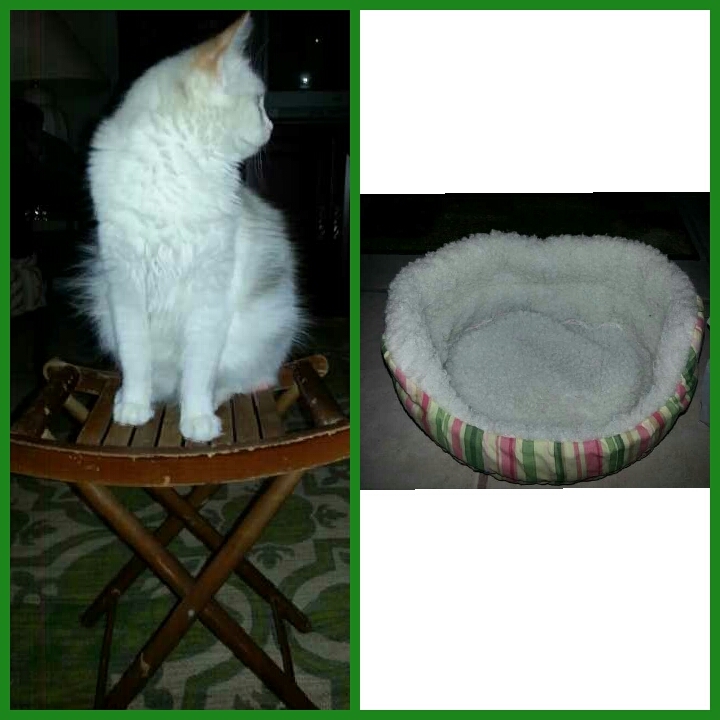 I also needed some little dishes for our cat and I found an entire set of small bowls (they look much larger in the picture) and 1 plate for .15 cents each! I almost bought some for .50 cents each at another thrift shop but now I’m glad I didn’t.